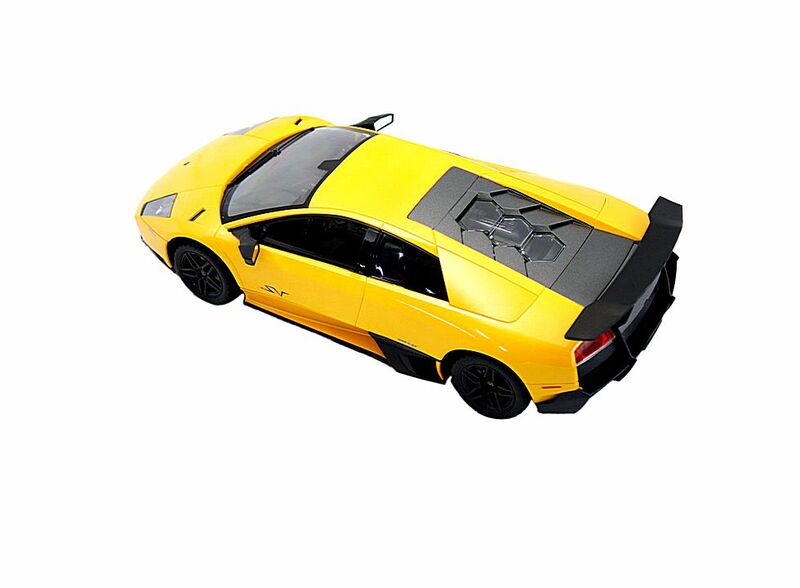 Scale Radio Control Lamborghini Murcielago Sport Car Yellow 1:14 LP670-4 HK-W01075, Buy at lowest prices. 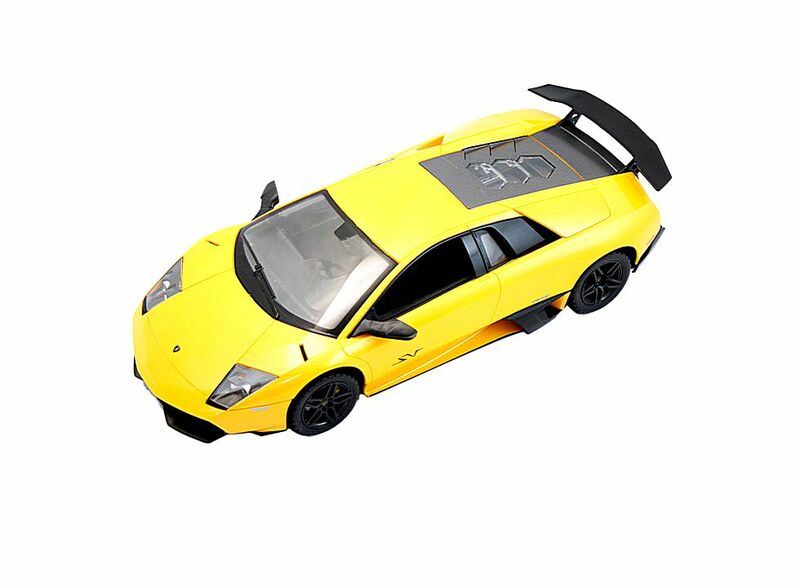 The 1:14 Scale Radio Control Lamborghini Murcielago LP670-4 Sport Car Yellow is a full function radio control car. Every details are well put together. Great collectible or gift piece. Forward, reverse, left and right, forward light and reverse light. Authentic car styling with injection moulded body. 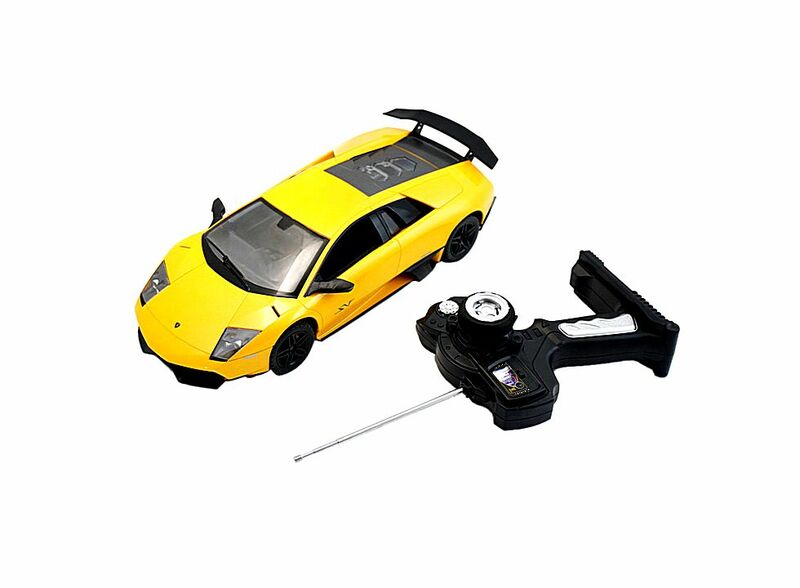 This cheap radio control car is one of the best showcase model for any auto enthusiasts. They do a very good job of delivering essence of the real automobile. This car toy is also a good collection for car enthusiast. Controlled by remote which is powered by one 9V battery. Visual windows, steering wheel, seat, etc. A perfect gift for boys or car enthusiast. Great replica of the original car. Car powered by 4pcs AA batteries. New and high quality, never used.